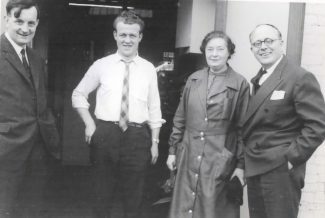 The Hubbard family moved from the East End of London in about 1939/40. They bought “Morinville”, a large house and garden in Thundersley Park Road, Benfleet, where they all lived together until about 1966. Sisters Lillian, Ivy, and May and brother Len Hubbard (my great aunts and great uncle) all worked at some stage at Hobson’s. Len was the nightwatchman, Ivy a seamstress, May was a cook and Lillian Hubbard was a supervisor. Lillian also worked at Glanfields for a while. She retired from Hobson’s in about 1967. 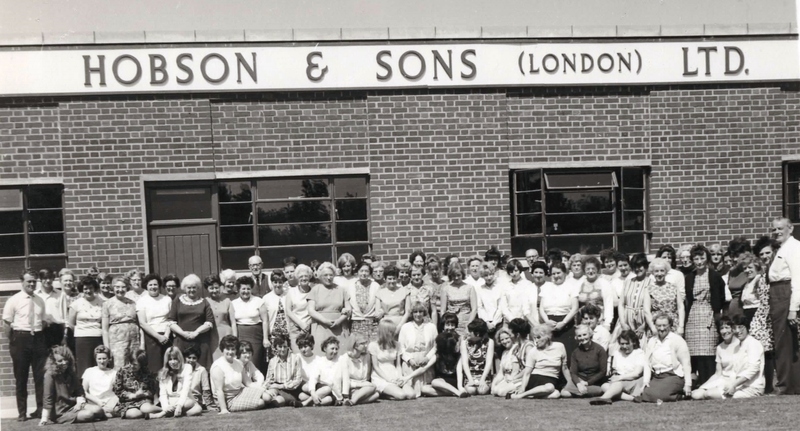 The photographs were all taken at Hobson’s, situated on the corner of London Road/Kenneth Road. 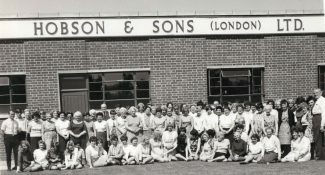 Please click on the photos to enlarge the images and if you can help us to name any of the people or perhaps you have your own memories of working at Hobson’s! If so, please contact us via the comments section at the foot of this page. The following has been added by Michael Reed, another family member. To add to the above. The property ‘Morinville’ 191 was later to become part of ‘The Chimes’ cul-de-sac development, together with ‘The Chimes’ 197, bungalow and grounds and the rear of the garden of ‘Addiscombe’ 187, Thundersley Park Road. Len Hubbard, previously a cabinet maker in the docks when in London, also operated a steam press in a Laundry and Dry Cleaners opposite the ‘new’ police station site, before it opened. 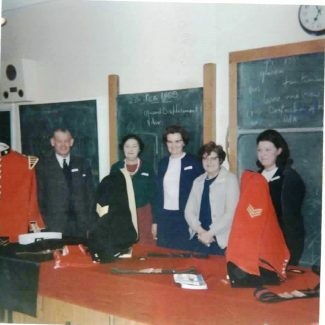 Ivy Hubbard, with her distinctive red hair, was better known as the ‘Pru Lady’, who used to collect Prudential Insurance premiums all over Benfleet; originally on her old pedal cycle and later on her moped. With her old leather satchel, over her shoulder. May was always the ‘Cook’, both in the old and new Hobson’s factories and at home. I don’t know how we would have survived, as children in the fifties and early sixties, without her brilliant contributions to our dining table, living, as we did, next door to her in ‘The Chimes’. 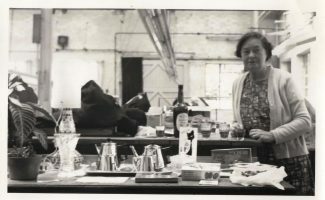 My Mum, Eileen Reed also worked, for a time, at Hobson’s, both as an ‘Outworker’ working from home and very occasionally in one or other of the factories. My father, Gordon, still alive and aged 92 this May, still has the early Singer electric sewing machine which she used to do this work; helped ably by my grandmother, Maud Cooper on her Singer foot-operated machine, she being a fully apprenticed and qualified, skilled dressmaker. In those days, as well as Army uniforms for both British and Foreign Forces, Hobson’s made all the uniforms for the A.A. Those were the good old days, when the AA patrol men still used to salute their members. They also made specialist, highly intricate, embroidered badges, for various forces, using real gold and silver thread. I am pretty sure this was done in the old factory, when the new purpose built factory was opened, all very high security of course. Oh! I think Lily actually retired in 1968.